Well its been a while since anything was updated on the website, so I’ll give a brief update of the past few months. Firstly our website manager Matthew Harris has departed Australia for a couple of years with his partner and are travelling to India to teach there. We wish them well and may there journey be safe, healthy and full of exciting times. My name is Chris and I am the Band Secretary and now the Web manager as well. My skills in this area are not as good as Matt’s but hopefully I will improve with time. That’s one of the reasons for the long absence as I was to scared to add information to the page in case I stuffed up our web page. 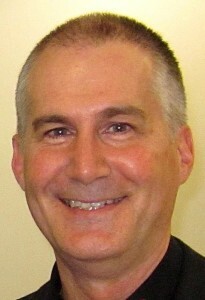 Regrettably Mark Witham as our Music Director resigned in March this year. He gave conducting away to concentrate on personal matters. He is still a part of our band and is enjoying life in a more relaxed manner with his new caravan and car. We wish him all the best and thank him for his wonderful leadership whilst acting as the Band’s Music Director. 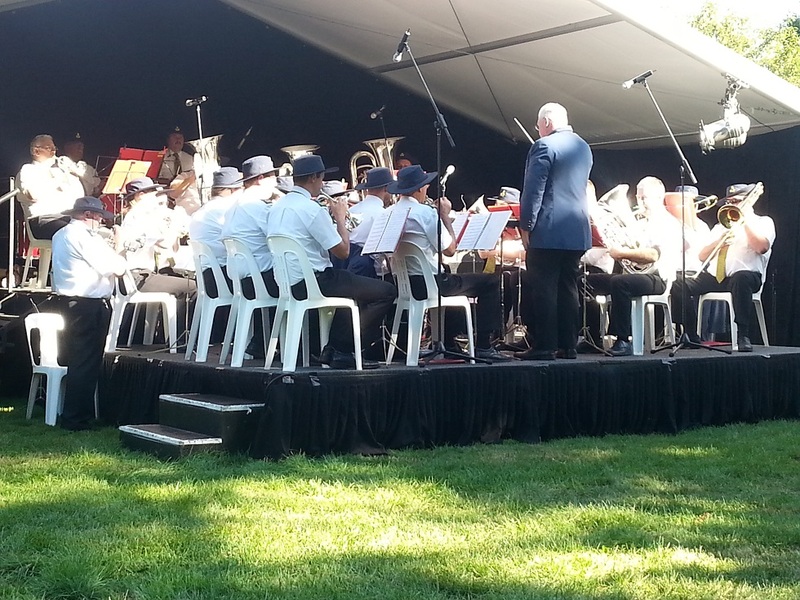 While under his directorship the band was improving rapidly and was looking at moving to C Grade. With Mark’s departure as MD, the ever reliable Bob Pattie took over the MD duties until we were able to select a new MD. We had a few applicants for the position and gave each applicant a night in front of the band to conduct three set pieces and any piece or pieces of their choice. 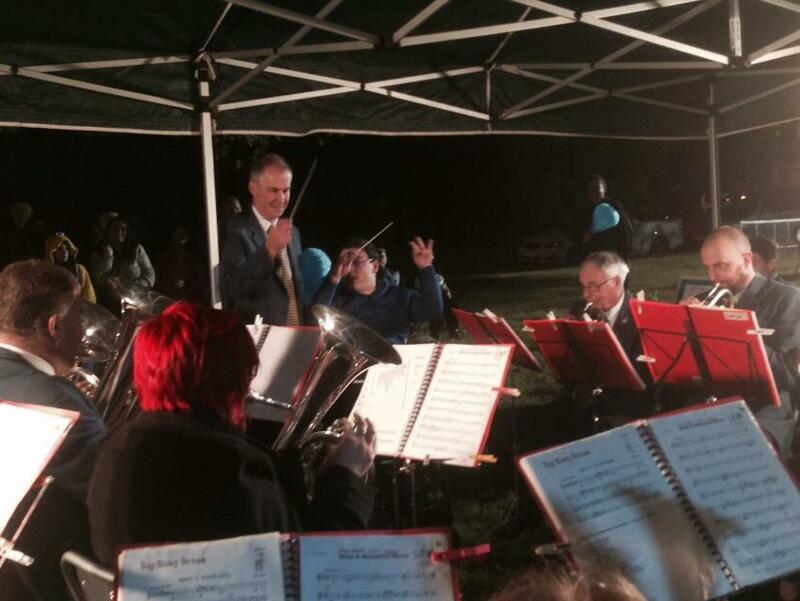 The end result was we welcomed Peter Gunn (ex Army musician and current member of the band) as the new MD. Troy Cheesman, who only recently started coming to band rehearsals also applied for the job and was appointed as Peter’s Assistant MD. Troy also was appointed the MD for the Training Band that he was keen to get up and running. The Training Band is now going great guns with approximately 9 children coming along regularly on a Monday night. So any budding musicians out there who are keen to learn a brass instrument are more than welcome to drop in on a Monday night. In September Peter gave conducting away as he job prospects took him in another direction. So in lieu of going through the process of advertising the MD position the committee offered the position to Troy. Troy accepted the challenge and is quickly finding his feet as a Music Director as he has never done it before. Bob Pattie is his assistant and is giving valuable advice and assistance while he gets settled in. Troy has a wealth of practical experience and has been involved with a number of bands around Australia and in particular Victoria. He has played with numerous A Grade Bands through to D Grade Bands. His choice of instrument is the Flugel Horn but he is no slouch on the Bb/Soprano Cornet as well. The band has stagnated somewhat with MD changes and players leaving the band over the year as well. 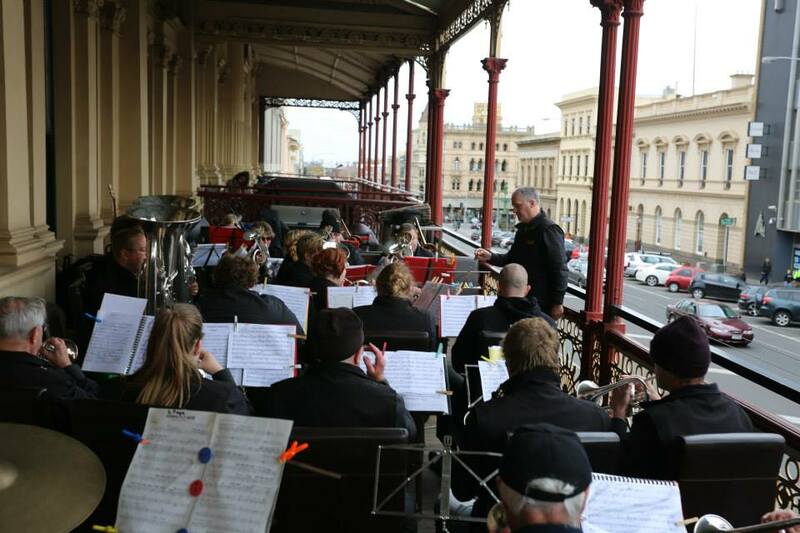 Therefore the band elected not to compete in the Victorian State Championships this year. 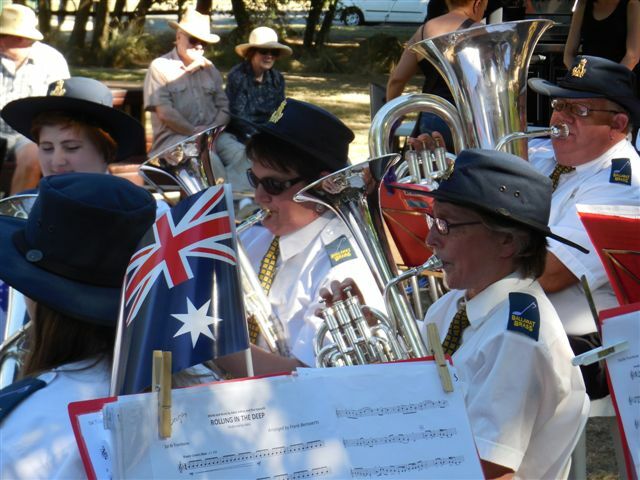 The band also decided not to travel to Mt Gambier in November 2016. We won the C Grade section last year in lieu of playing in D Grade. Look forward to more info on the band in my next post. 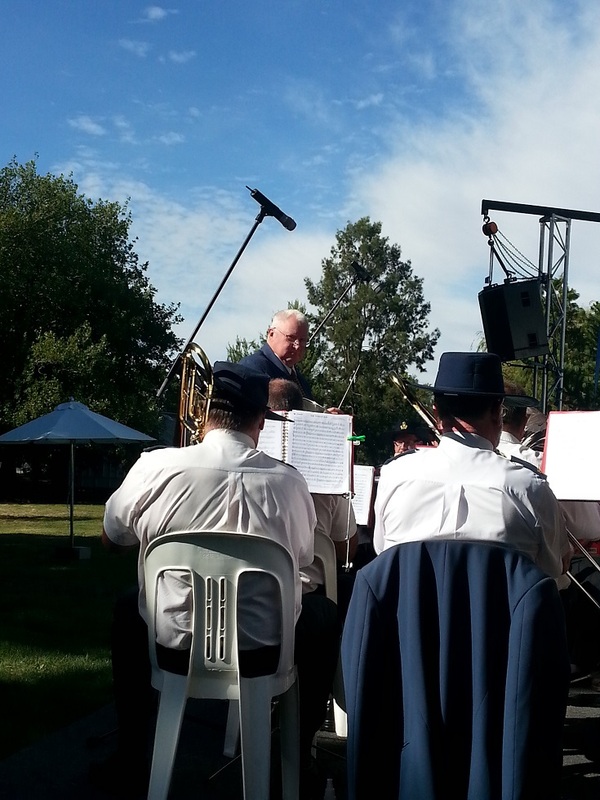 Well we’re already well into 2016, and it’s shaping up to be another exciting year for the Ballarat Municipal Brass Band. 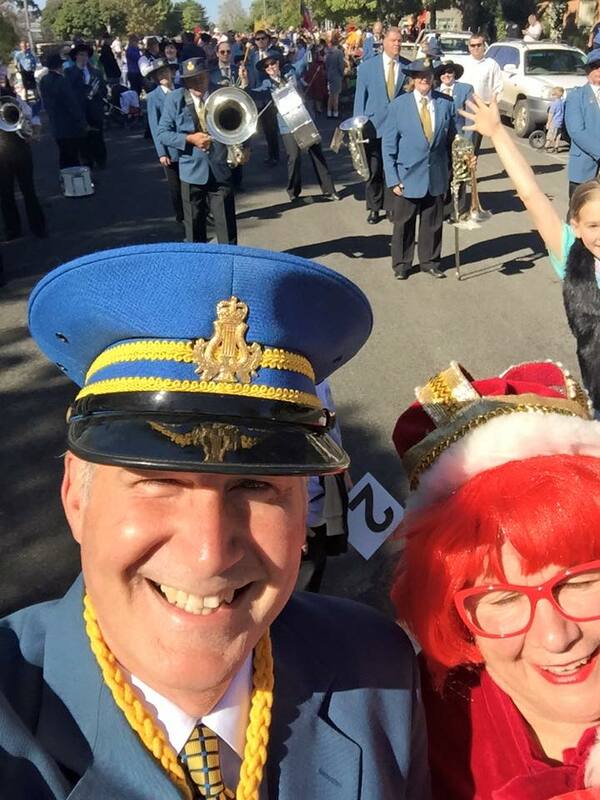 2015 was another fun and successful year for the Band. 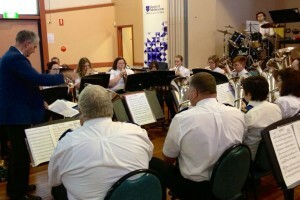 After our strong performance at the VBL State Championships at South Street, the Band went on to perform at a number of community events and fundraisers, before finishing the year with our annual trip to Mt Gambier for the Blue Lake Brass Band Festival, where we won the C Grade contest this year, and of course our regular appearance at Meredith Music Festival. 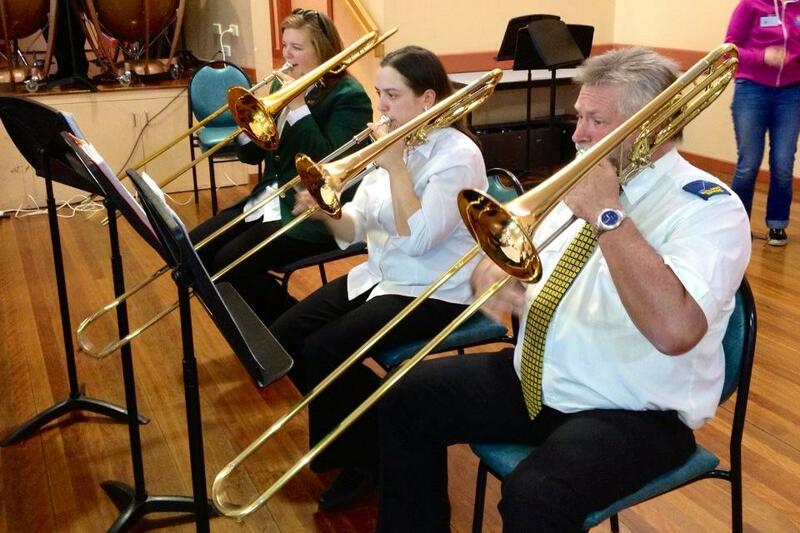 The Band has recently resumed rehearsals at our newly refurbished band room at 212 Ripon Street Sth. Be sure to keep an eye on our calendar for details of rehearsals and upcoming gigs and contests. We always welcome new members, so just pop in and introduce yourself if you’re keen to be a part of the action. Otherwise, we hope to see you in the audience at one of our shows in 2016! It’s been a fun year so far for the band, and there are some big plans for the next few months, so it’s time for a little update to keep you in the loop. 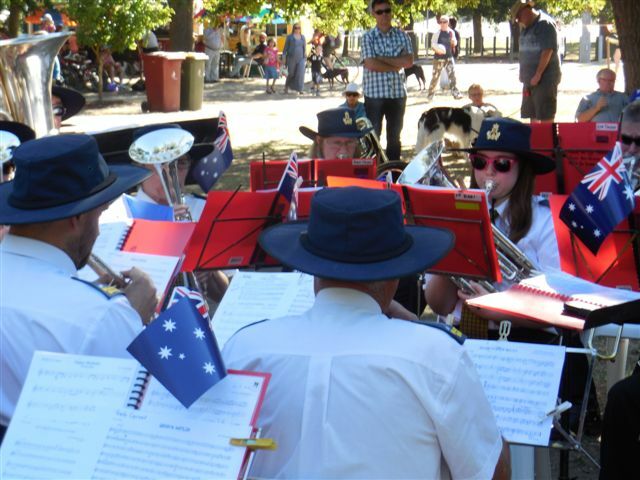 So far this year we’ve played at the Australia Day celebrations at Lake Wendouree, and made our regular appearances at the Begonia Festival and the Ballan Street Festival. Thanks to everyone who has come out to listen and support the band. April is a big month for us, with two important events to mark ANZAC Day. In May we’ll be on the balcony at the George Hotel once again for Heritage Weekend. Check our calendar page for details and times for all upcoming events. 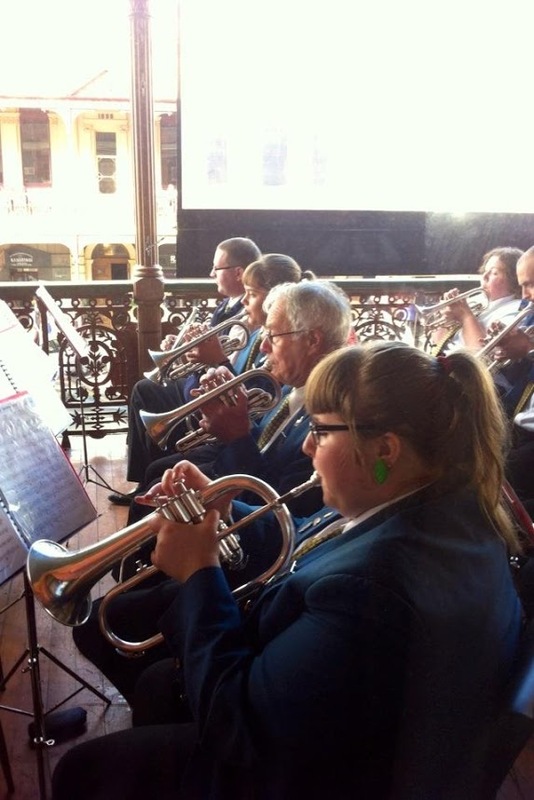 In other news, our band room is undergoing a major renovation at the moment, so we’re practicing at the Memorial Band Room in Barkly Street for the next month or two. Also, our new uniforms are on the way, so expect to see a really different look for the band soon. Thanks for checking in to the web site, and we hope to see you soon at one of our gigs! It’s been a busy few months for the band, so we’d thought we’d better give you an update of what we’ve been up to and what’s coming up for the rest of the year. August was a big month for competitions. 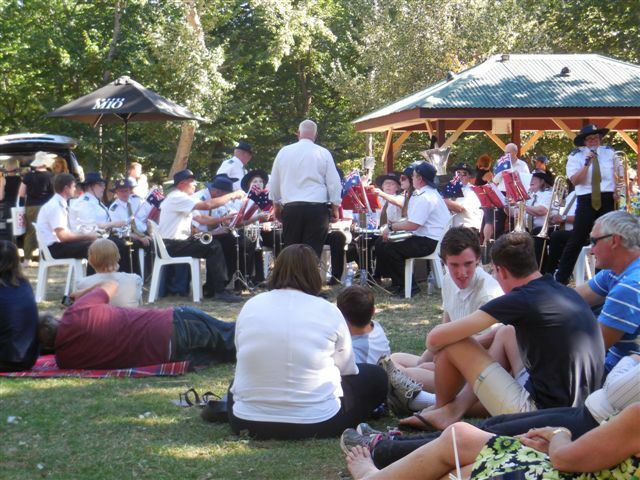 We had a strong performance in the VBL State Championships at South Street, finishing just two points off the winner, Croydon Citizens’ Brass Band. You can check the results here. We also played at a contest in Maryborough, where we were lucky enough to take out first prize. 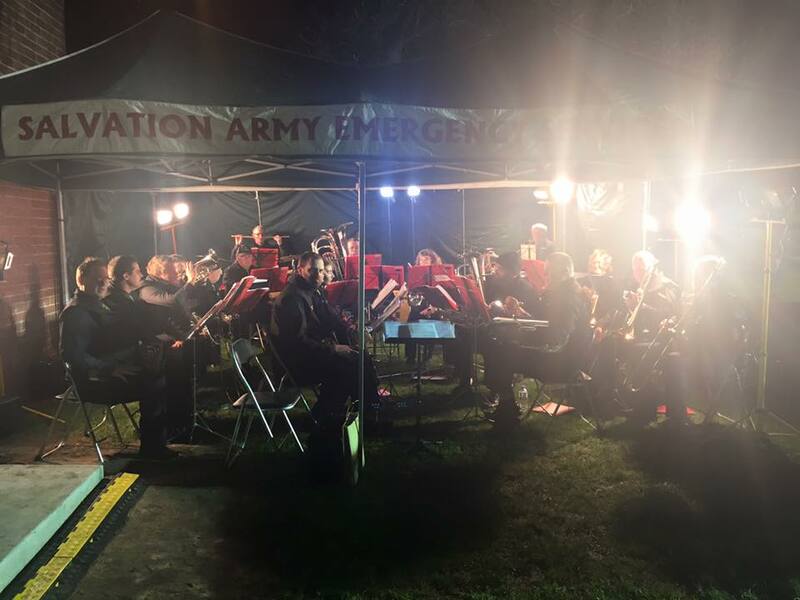 Since then, we’ve played at several fundraisers and community events around the Ballarat region, including a fun fundraiser for Livvi’s Place Fundraiser, the annual Light The Night Leukaemia Foundation event, and the Run Ballarat Fun Run. And, of course, Gemma’s 21st, which was amazing! 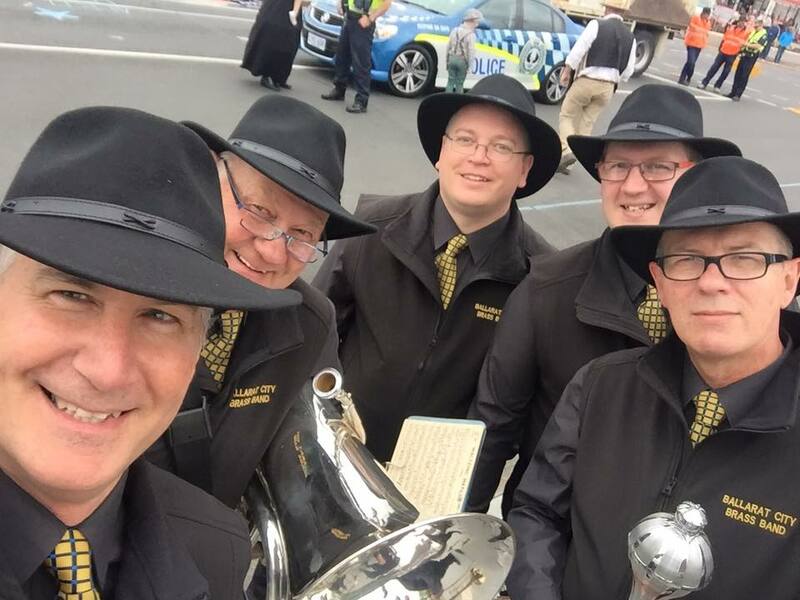 We’ve got a busy schedule coming up too, including a trip to Mt Gambier, Christmas Carols on Sturt St, and our famous regular appearance at the Meredith Music Festival in December. You can check out the schedule here. Be sure to follow us on Twitter, or even better, come and support us as we play during the festive season. 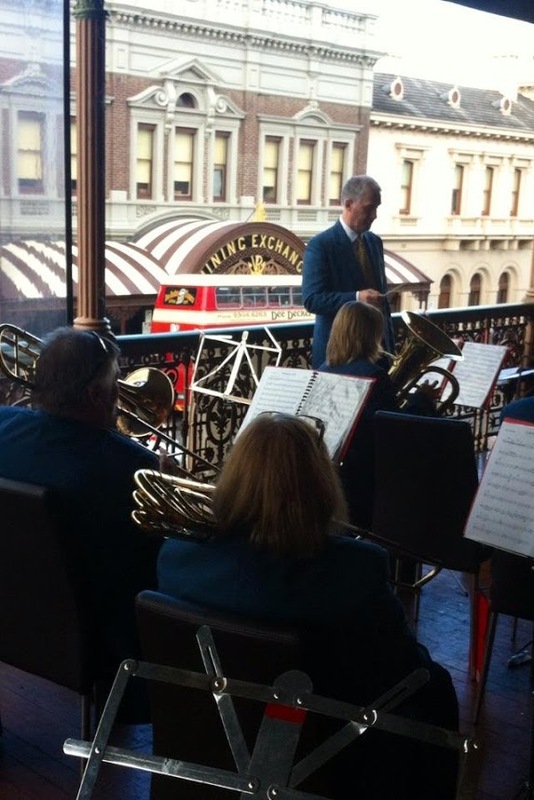 In 2014, the Band had the opportunity once again to play on the balcony of the George Hotel for Heritage Weekend. 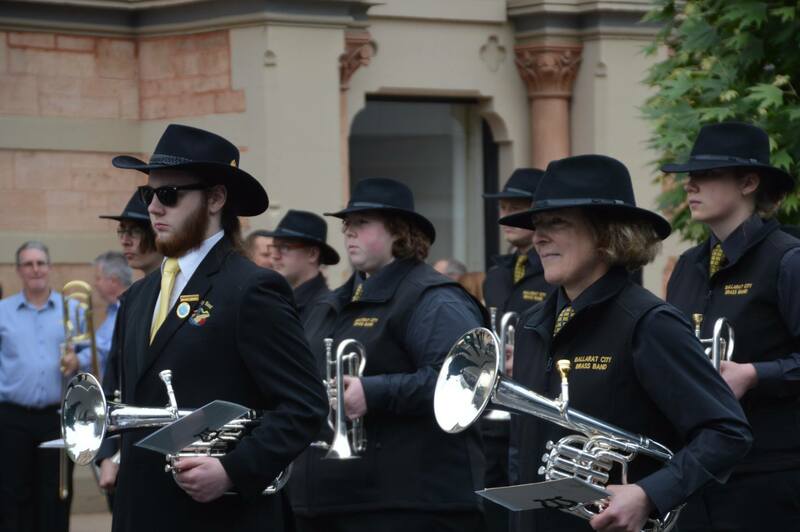 We love this weekend as it’s such a great setting to play our music, with the sounds of our band echoing down the historic streetscape of Lydiard St and beyond. The highlights included the bongo solo in ‘Sway’, and our old time favourite Hootenanny to finish the weekend. 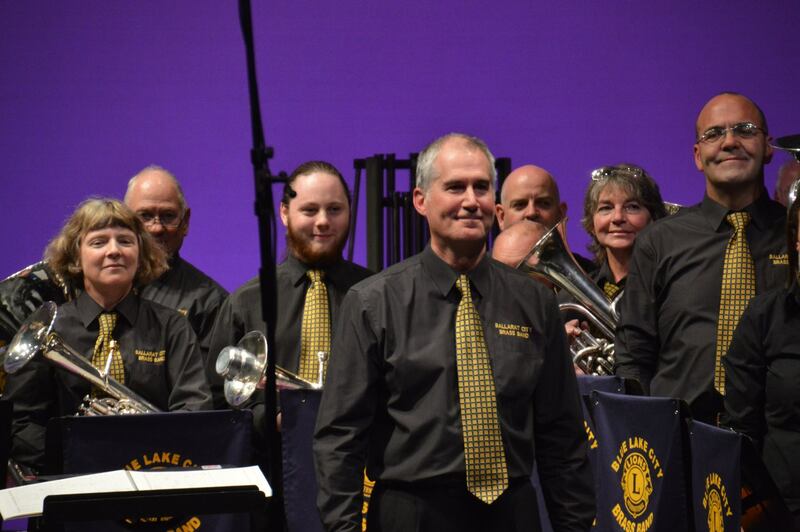 This year we were conducted by Mark Witham, who has been leading the band since the departure of Mark Smith. Check in with the Heritage Weekend web site for details of the weekend. After many years at the helm, our Music Director Mark Smith has decided to stand aside from his position due to work and family commitments. Mark enjoyed many successes with the band at various competitions and public performances, and he has left the band well placed for the future. He will be missed by all band members. 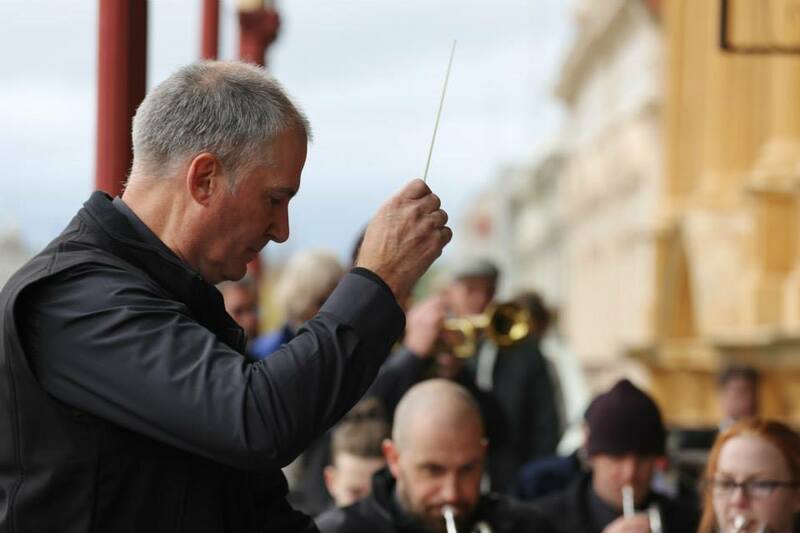 As a result, the City of Ballarat Municipal Brass Band is currently seeking applications for a new Music Director. 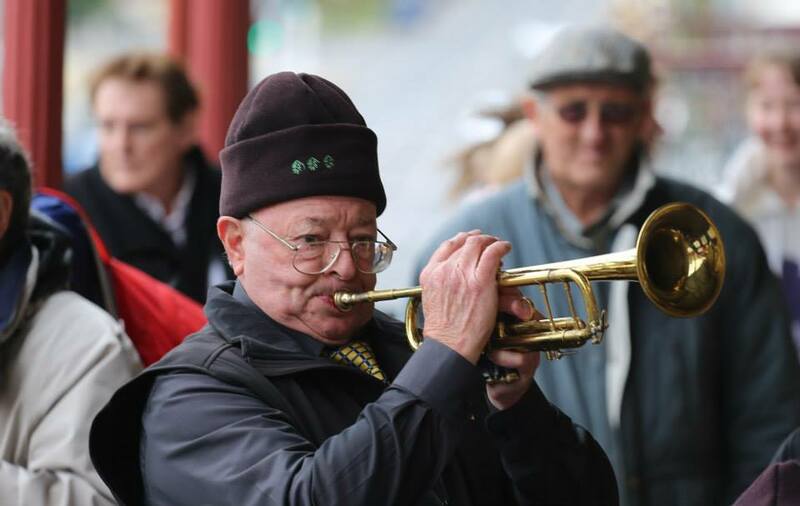 The Band rehearses every Tuesday night in the band room, cnr Ripon Street South and Urquhart Streets, Ballarat between 7.30pm and 9.30pm. 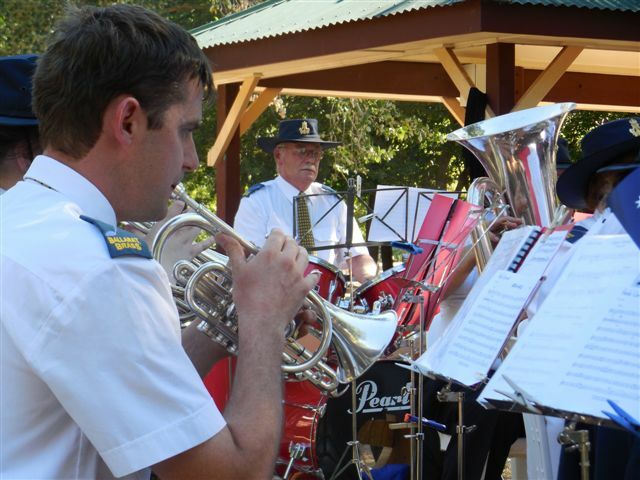 The Band has players of all ages and abilities and serves the community with a variety of performances throughout the year. These performances comprise of festivals, commemorative services and special events. 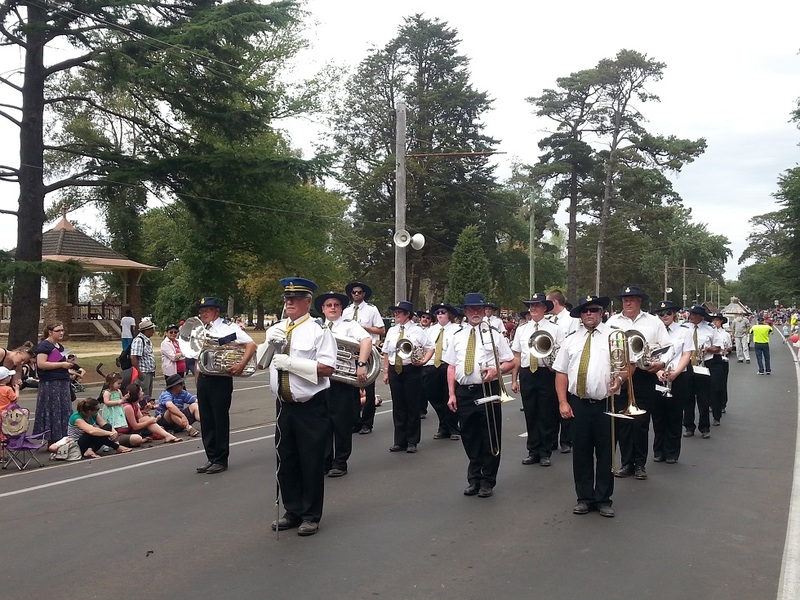 The Band currently holds the title of 2013 Victorian State Champions, D Grade, Brass Band. The successful applicant will be highly motivated and encourage and inspire the love of music in all members. He / She will be suitably experienced and have considerable musical knowledge and a strong commitment to brass banding with a strong focus on performing to a high standard. The applicant should have strong communication and interpersonal skills and ideally be in a position to assist the Band in attracting additional musicians. Applicants should send a resume containing relevant qualifications and experience including three referees. Your vision statement for the direction of the band should also be included. Shortlisted applicants will be interviewed and auditioned. 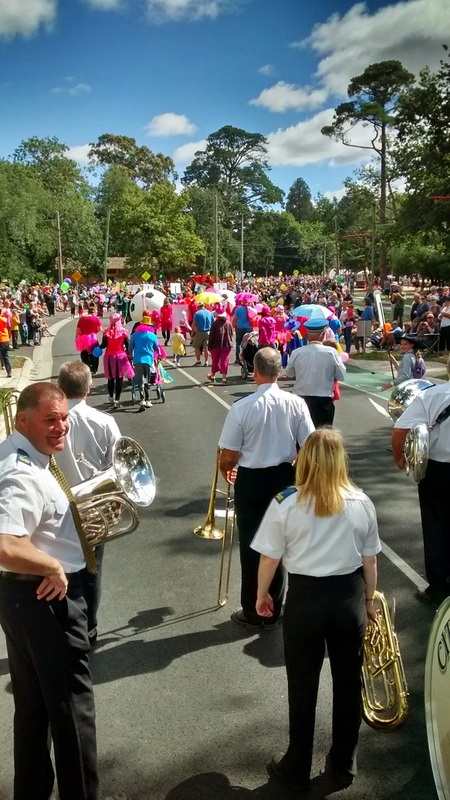 The band continued its close association with the Begonia Festival again in 2014. This year we played a 45 minute set on the main entertainment stage, cranking out some of our crowd favourites like Aces High, Angels and a barnstorming finale in the form of the World’s Greatest Hits medley. 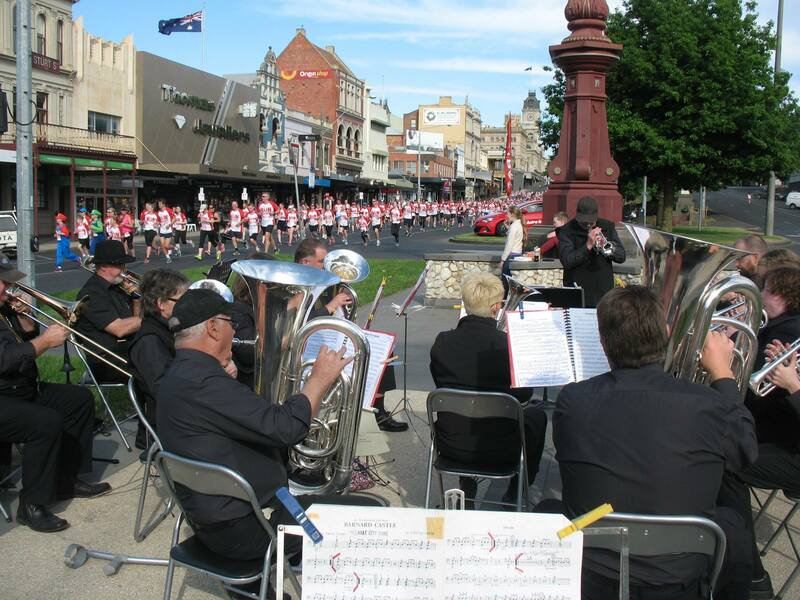 And of course we once again marched in the famous Begonia Festival Parade, where we played our old favourite, St Kilda, for the thousands of people that lined the streets. The Begonia Festival web site can be found here if you’re looking for more details about the event.